In Circuit Court and District Court cases one party can seek a general order for discovery from the other party by requesting that they discover all documents relevant to the issues in dispute and the onus is on the party disclosing the documents to list and furnish all documents that they consider relevant to the dispute. the reasons why they need the documents. Usually discovery arises after all pleadings have been exchanged because the issues in the case need to be clearly set out before discovery can be commenced. The onus on the parties is to discover materials relevant to the issues in dispute, which normally become clear through the statement of claim and the defence. Discovery is intended to tease out the case already made and is not intended to be a means to identify causes of action or grounds of defence. If discovery is ordered by the Court or if the parties agree to voluntary discovery, either party can seek the disclosure of relevant documents which are in the possession or control of the other party, or occasionally from a non-party. 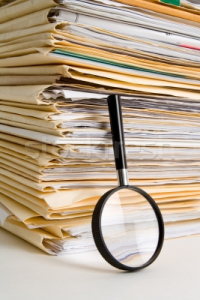 The sheer volume of documents which need to be identified and produced can be both time consuming and costly. Anyone involved in undertaking the discovery of documents needs to be aware of the serious consequences of failing to make proper discovery in terms of costs, reputations of those involved and most importantly the ultimate prospects of the case. In the recent case of O’ Driscoll v. Irish Bank Resolution Corporation Ltd. & Ors,  IEHC 63 Justice McGovern had to consider which requests for discovery before him were relevant to the case in hand. Both the Plaintiff and the Defendant sought discovery from each other and whilst a certain amount of agreement had been reached, there still remained unresolved requests for discovery on which Justice McGovern had to rule . With regard to the Plaintiff’s applications for discovery, McGovern J. accepted just one of their requests and declined the remainder of their requests. Justice McGovern allowed one of the Plaintiff’s requests for discovery because the documents sought under that request were relevant to the issues in dispute and the documents requested went to the issue of bona fides of the defendants. That particular request was for earlier drafts of brochures and contractual documents which related to the issues in dispute. Justice McGovern held that he would allow the request because if the Plaintiff could establish that there were material differences made from those original drafts, it could undermine the Defendants case and support the Plaintiff’s case. The Court’s reasoning for refusing the reminder of the Plaintiff’s applications were varied. One reason cited for refusal of an application was that the Court believed that to order discovery under the requested heading would be disproportionate because the contents of the documents sought were not in dispute. In another request the Court refused the application because it believed that is was not necessary to grant discovery of the documents due to the fact that the documents requested were previously available and in fact the documents were still available to the Plaintiff. Finally, and perhaps most interestingly, the Court refused discovery under two headings because it felt that the plaintiffs were engaging in a fishing expedition. The Court was of the opinion that “… it would be oppressive, unnecessary and disproportionate to order discovery under this heading having regard to the fact that it would involve a trawl through many thousands of documents and correspondence”. It is important to note that the Court was conscious of the issue of the proportionality of work which would have to be undertaken to discover the documents versus the importance of the documents to the issues in hand. It sends a message that one party will not be allowed to send the other party on a potentially very costly venture, both in terms of time and money, which ultimately may not discover any documents relevant to the case at hand. With regard to the Defendant’s applications for discovery, McGovern J. allowed one request, denied another, and allowed the third request with terms imposed. The request which he allowed was on the basis that he believed that the discovery which was sought was relevant to the issues in dispute. In relation to the request which was denied, it was done so on the basis that the documents were not relevant or necessary because the issue at the heart of the documents was not in dispute. With regard to the third request by the Defendants, McGovern J. allowed the discovery of documents as requested but only up to certain dates. It can be seen from the present case that the Court took a strong position with regard to the requests for discovery which they allowed. Only one request from the Defendant, and one request from the Plaintiff were granted without any additional terms imposed by the court. Almost all of the requests denied by the Court were denied due to their lack of relevance or the disproportionate workload which would be placed on the other side if the request was granted. It is important for all parties to legal proceedings to be aware of their obligations if an order for discovery has been made against them and to be aware of the obligation to disclose all documents relevant to the issues in dispute. Preparation for discovery should commence at the earliest possible stage and it is very important that parties seek the necessary legal advice to assist in identifying relevant material and to assist in determining which documents are protected by privilege. We also strongly recommend that any discovery order should be limited on a date basis usually not later than the commencement or contemplation of proceeding’s , which documents are probably covered by legal privilege, to avoid the organic growth of documentation on a time unlimited basis during the discovery process itself. There are two types of privilege, being, legal professional privilege and litigation privilege. Often clients don’t understand the issue of privilege and may hand over documents that are protected by privilege. In that regard it is of the utmost importance that any discovered documents are legally vetted before release. Similar issues arise in Data access requests where we have come across the release of legal advice and other privileged documentation under data access requests directly to the defendant.